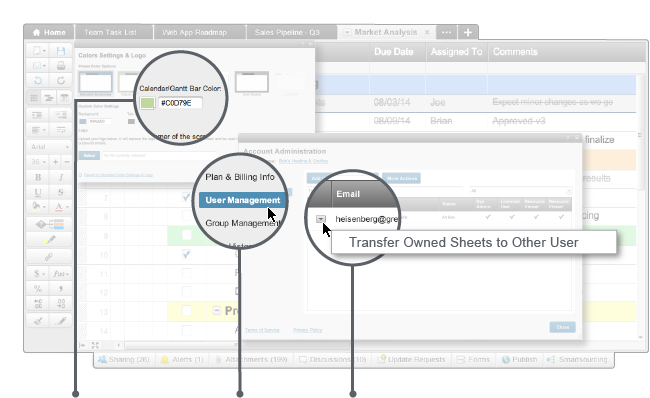 As the administrator for your Smartsheet account, you have the ability to add or remove users, transfer content (sheets) to others, determine which domains your team can collaborate with outside the company, view login access history, mobile access and much more. Additionally, you can personalize the look and feel of your project sheets with colors and logos (e.g. you can feature your company logo, or a partner or clients’ logo on sheets you share with them).